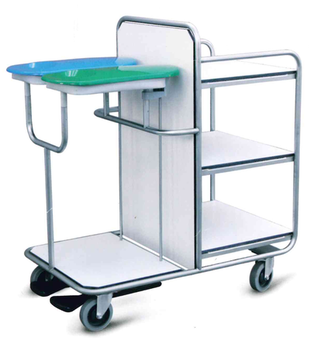 The sorting trolley also called the personal belongings trolley, can be divided in any random way depending on your wishes. All conceivable heights, depths and box formats are possible. 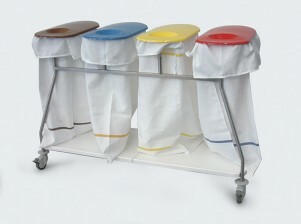 Designed for linen replacement suitable for all hospital departments. The roll containers are made from a 20×20 mm square tube and assembled via bolt-nut connections. 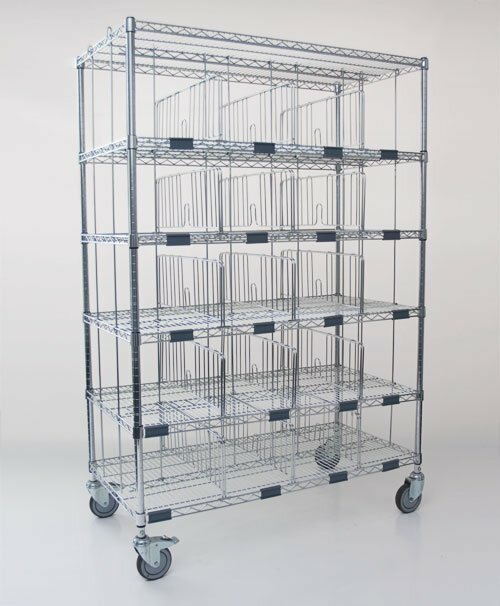 This whole unit ensures for a very stable construction that guarantees a long lifespan. 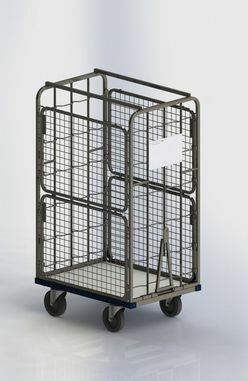 Apart from roll containers VTS can also meet your need for other transport material. Our own model shop makes it possible to develop specific products and competitive products. 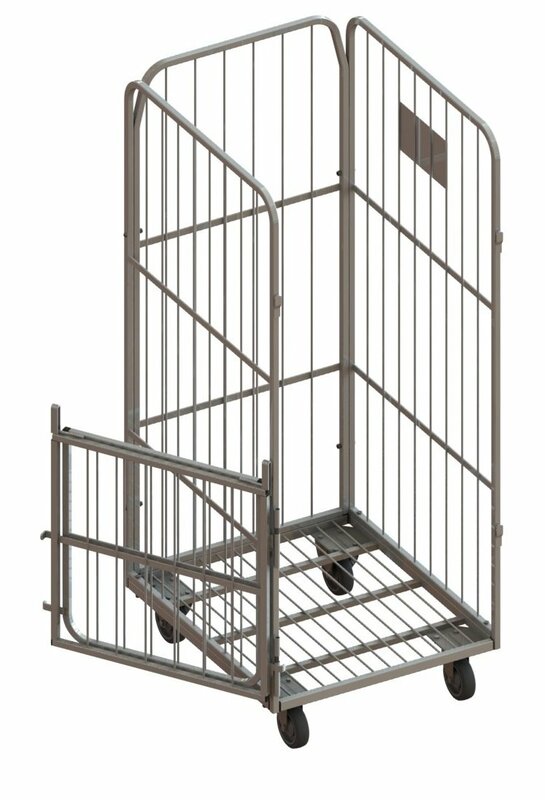 In addition to our standard products, customised products are some targets of VTS. 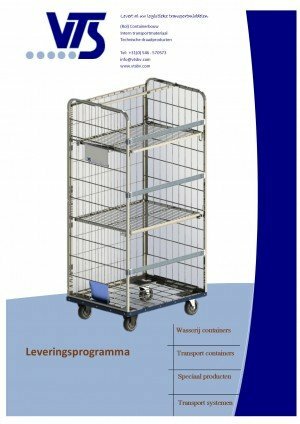 VTS from Almelo is a dynamic, customer-oriented company that has mainly specialised itself in the production and development of various (internal) transport means. 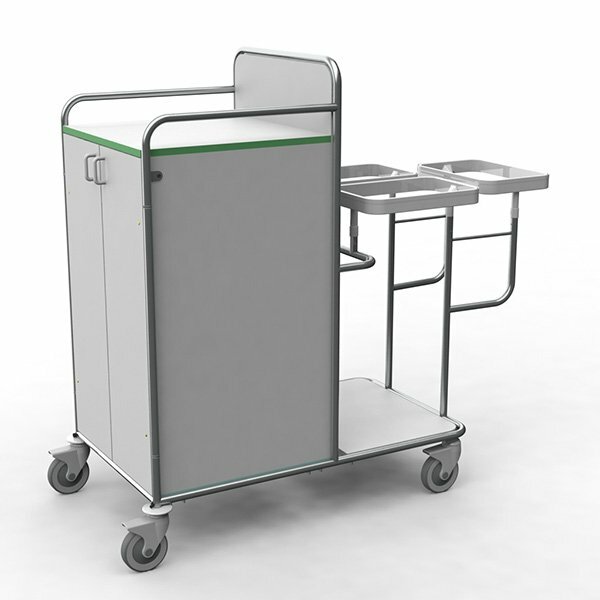 The roll container for laundries is one of our specialisms that we supply worldwide. We have our own production facility, model and tool shop with expert people that know what they are doing. This provides the possibility and flexibility to not only supply standard products from own stock but also to produce specific customised products. It is always paramount that the wishes of our customers are translated into expert work as correctly as possible. Our site only gives an impression of our assortment. 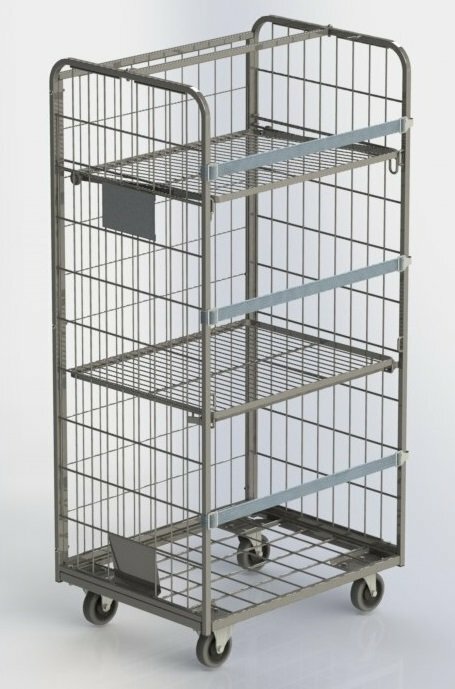 To get an exact picture please check out our extensive offer in the catalogue that we can send to you. Of course, you can also make an appointment with one of our advisors, without any obligations. Would you like to know more? We gladly provide you with further information. More information about our roll containers?